Brendon Urie and the Panic! 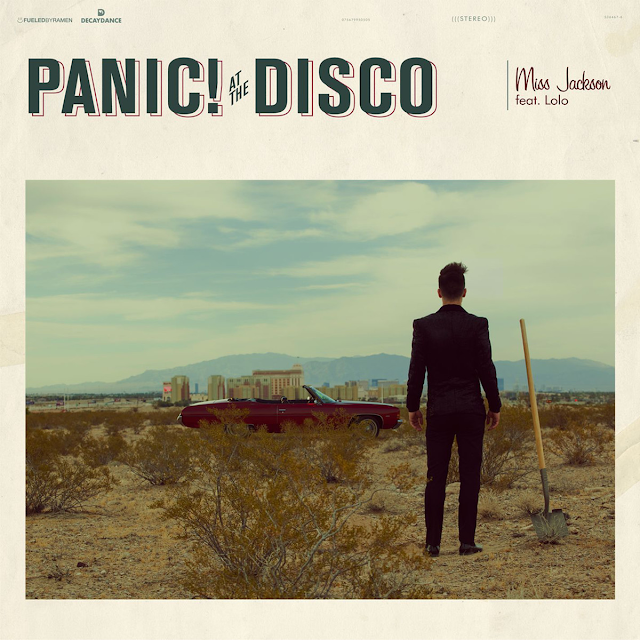 At The Disco boys (Spencer Smith, Dallon Weekes) are back with a rockin' summer anthem destined to rule the airwaves leading up to the release of their fourth studio album, Too Weird to Live, Too Rare to Die! (Decaydance/Fueled by Ramen), due October 8th. The Butch Walker (Weezer, Fall Out Boy, The All-American Rejects) produced "Miss Jackson" is just the right amount of dark and moody, words which also describe the trippy, From Dusk Till Dawn (minus the vamps)-esque Jordan Bahat-directed video. "Miss Jackson" features guest vocals from an artist I'm particularly fond of by the name of Lolo.